With wearable technology slowly working it’s way into our everyday lives, it was only a matter of time before we got man’s best friend involved. This new futuristic dog collar called Buddy, is the ultimate must-have gadget for geeky pet owners. ‘Buddy’ will keep track of just about everything you could ever want to know about your dog, starting with temperature. No longer will you have to wonder if your dog is getting too uncomfortably hot or cold, you will now know the exact temperature of your four legged friend. In the event that your dog does get to hot or cold ‘Buddy’ can actually link into your Nest thermostat to have the temperature automatically adjusted. With Geofences, you will be able to set a perimeter that your dog is allowed to be in by simply using an app for either iOS or Android. Once your dog leaves the perimeter that you set up, you will be notified with an alert. Even better, ‘Buddy’ will include GPS tracking so you can know exactly where your dog is. To keep your pup in top shape, the Buddy collar will also include an activity tracker to measure how much exercise your dog is getting. This feature could also benefit some owners as it will persuade us to get up and get active with our pets. Need to know how much your pet is eating? Well, it keeps track of that too. How about appointments with the veterinarian? Yes, it keeps track of this information as well. And last but certainly not least, it’s quite stylish. The Buddy collar has customizable LED lights that can be adjusted to pretty much any color you can imagine. Plus, having a well lit Buddy collar is great for safety as it provides ample night time lighting so drivers and cyclists will not only see you, they will see your pet as well. All of these features of course are going to come at a premium, after all this isn’t your basic everyday pet store collar here. 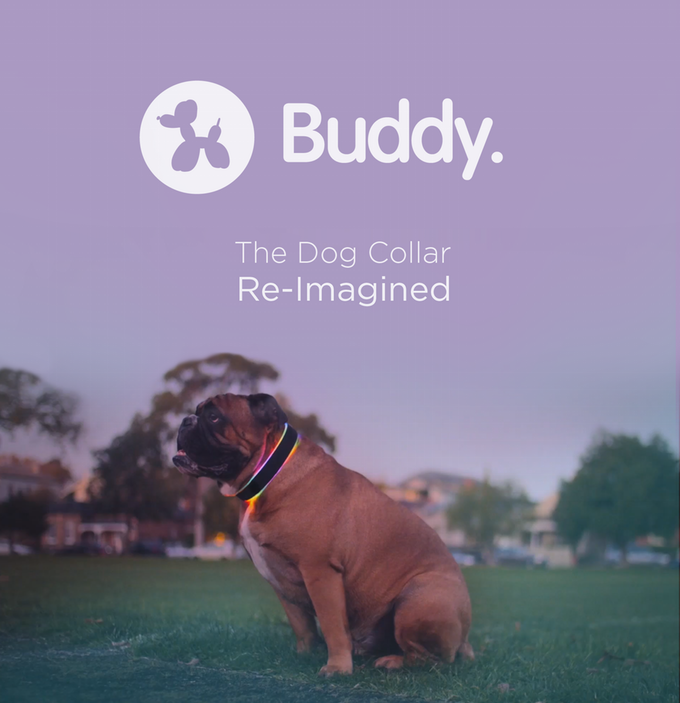 If you back the Buddy project early you will get the collar at a discounted price of $180 US. If the collar is fully funded and released for purchase, it could set you back approximately $450.